I don't think I'm going anywhere so rather than making a bunch of individual threads for each thing I build, I'll be putting the majority of it here in the interest of keeping the board less cluttered and so more variety can be on the front page(s). The Kit. 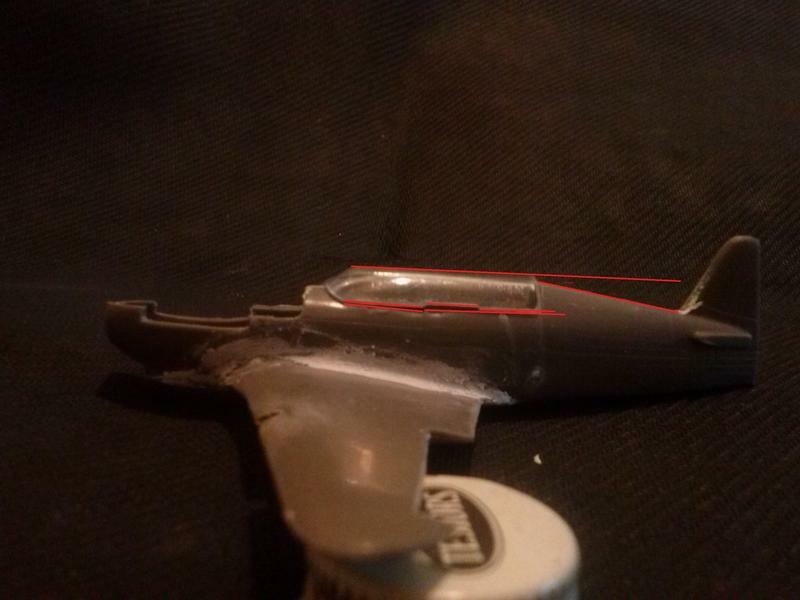 Special thanks to Zenrat for identifying some of the pertinent info: "..it's an RM models using KP molds." Made in Russia. ...But what ya gonna do?! I picked this one on purpose because of the dozens of problems...... The little notch in the wing? I have no idea why that's there but I just "cleaned it up" a little and left it. I'm not going to spend TOO much time on this. 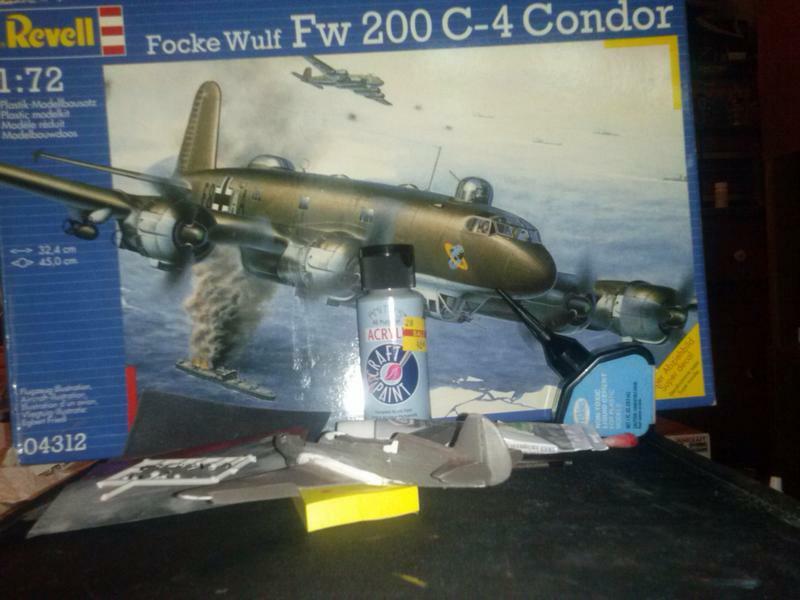 This evening I'll be fiddling with some the small parts... the gear, control surfaces and stabs and all that good stuff. That's all for now I guess... thanks for stopping by. Hahahah!! I figured folks would get a kick out of that. If nothing else, I'm sort of goofy.... This type of lame humour is typical for me. Yeah, ain't that cool?? That's one thing that appealed to me on this kit. Oddly enough, considering the lack of quality elsewhere, it came with two separate canopies... this "long body" and a normal one. So that was a pleasant find. I'm of course using the extended one and having the other for the parts stash is awesome. VIP transport version. converted from Yak-7B, 1944." I bolded that last one as it, to me, appeals the most. 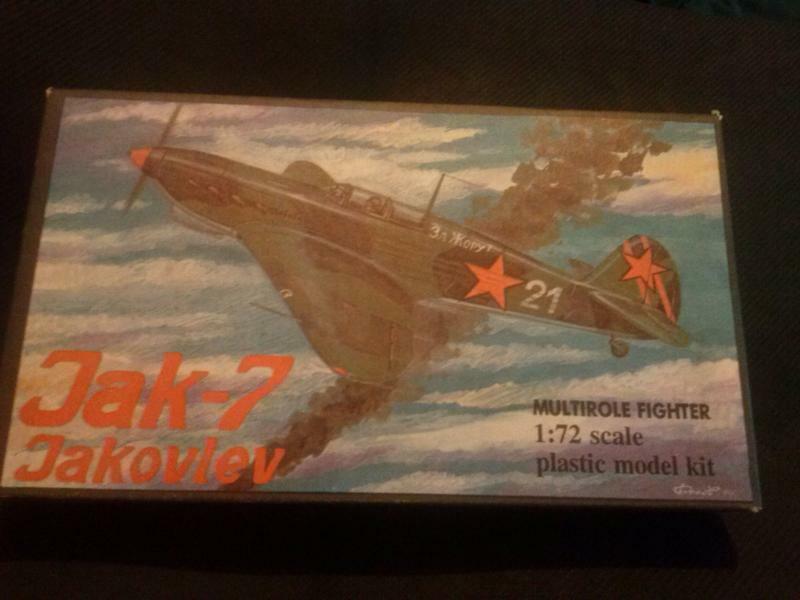 The kit box doesn't say which one it is.. (there's some Russian on the back that either says which one or is a unit designator, I don't know which as I don't speak Russian) It has to be one of those, though. I also like the "communications" one. A picture on Wings Pallete. Thanks for the interest, y'all! 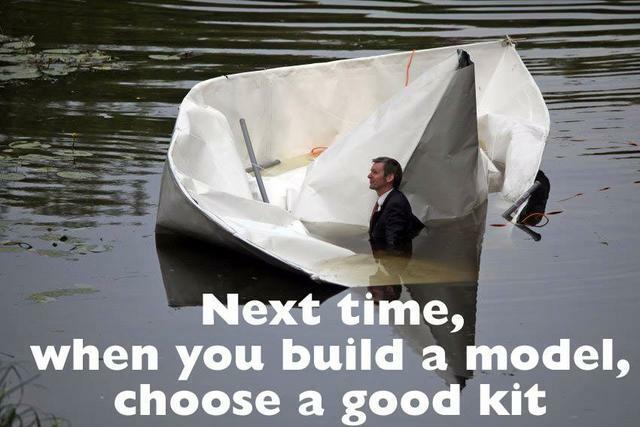 You'll either improve your skills or give up model building! Of note in this picture is my Bic Cover-It correction fluid. I call it "Poor Man's Mr. Surfacer" and use it for the same type of thing Mr Surfacer would be used on. For the un initiated, Mr. Surfacer is pretty much a really thin filler used to get into and fill tight spaces or whatever.. I'm sure their website could explain it better than I but you get the idea. I'd say it's a close to paint as a filler could be and still be filler. Back to the correction fluid. I find it to pretty handy but haven't used a whole lot of it yet. So far seems to be so good, though. I've never used Mr. Surfacer products but heard they were fantastic. Good tip with the correction fluid, I'll try that out. Happy to oblige both of yas! One note on the fluid, you'll need some pretty stout sand paper or files to start in on when you get to sanding it down. Hardens up pretty damn solid! Not only that, dries really fast. But, it does seep into tighter areas decently. Since this thing is going to have an "over all" paint scheme I'm going ahead with gluing on the horizontal stabs, elevators, and ailerons. One NICE thing I can say about this kit is that they can be glued in whichever fashion you choose. 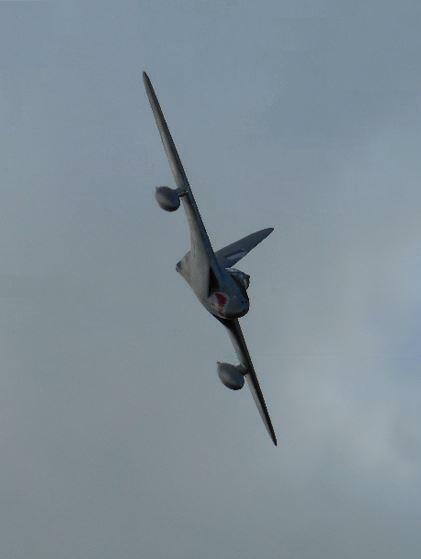 I like the "drooping gown" look, and, if I remember right, at least some planes look like this anyway when on the ground, powered down, and the pressure off of the hydraulics. I've been moving pretty fast on this! I've been working on it today quite a bit but in comparison with the other one I built this is going much faster. 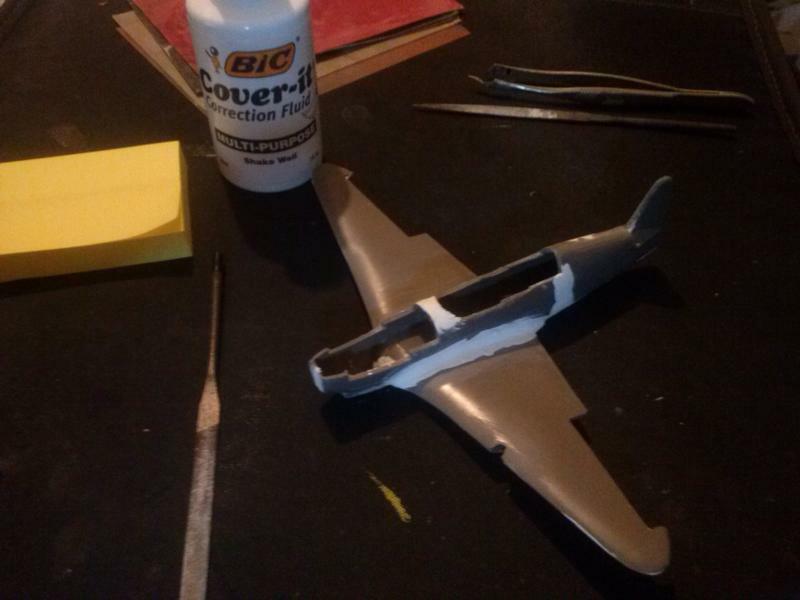 Hell, I'm near ready to start laying out camo but I think I'll file, trim, sand, and paint the landing gear and doors and all that tiny mess first. Get the hard stuff out of the way first, ya know? Also, I'm going to have to scratch build some of the gear because part went somewhere. Half of it is on the sprue and the other half. ..... ?? I figured it would be fun to, on occassion, feature a kit from my stash for a background as a bit of "bonus" and something else to look at and maybe illicit discussion. elevators, and ailerons. One NICE thing I can say about this kit is that they can be glued in whichever fashion you choose. I like the "drooping gown" look, and, if I remember right, at least some planes look like this anyway when on the ground, powered down, and the pressure off of the hydraulics. Cool. Yak's don't have hydraulic powered controls BTW, it's simply the weight of the elevators that make them sit in a down position when at rest if it has no locks on the controls or surfaces themselves. No problems there, I use auto body filler for putty and depending on the amount of hardener used it can be like sanding granite so I have some beefy papers and files and if need be rasps to work with. Thanks for the bit on the Yak. I guess I should have known that. All direct controls. Not the only thing low-tech on the Yak... I was reading earlier today that the wings were wooden and the fuselage was cloth wrapped over substructure. That explains the lines on the rear section! I always wondered about that.